You've told us how much you enjoy dragging & dropping images directly into the note editor, so we've brought that same experience to uploading documents into a note. 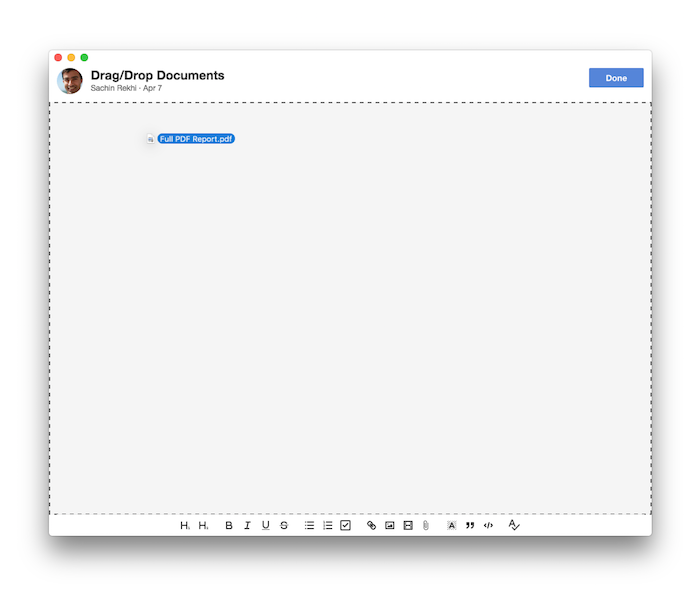 So you can now simply drag a document from your desktop (or other apps like iMessage) directly on the note editor and it'll automatically be uploaded right into the note. The document embed will be located at the most recent location of the cursor in the note. So make sure to place your cursor where you'd like the document located prior to dragging. We're always looking for more ways to make you even more productive, so keep the feedback coming!